Looking for a fall treat to help you get through midterms? Look no further! 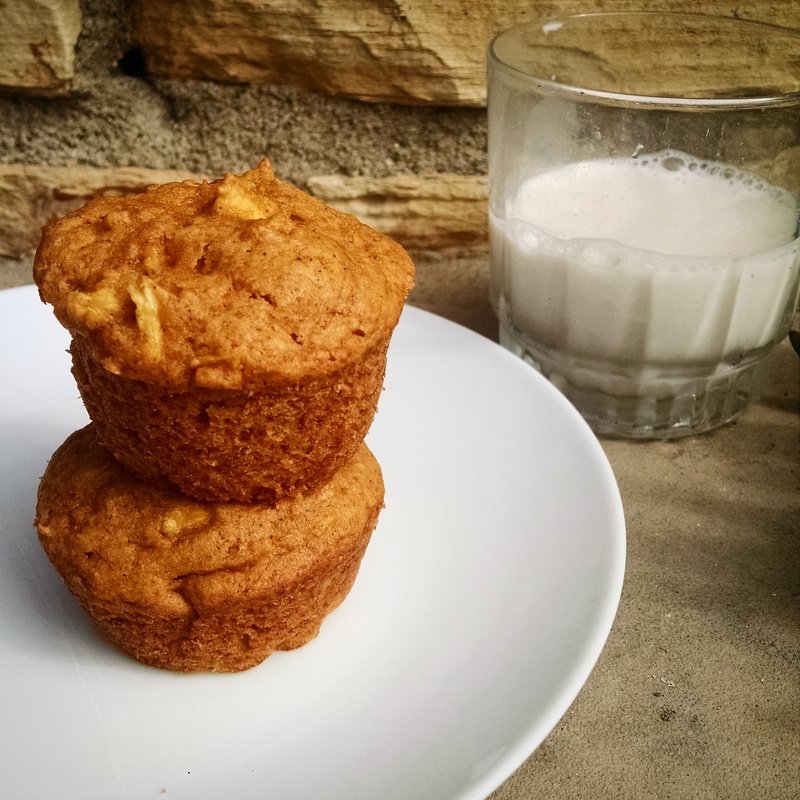 These muffins are chock full of tart apple pieces and perfectly soft thanks to the pumpkin. The spices will make your apartment smell amazing as the muffins bake. And since we don’t get much of a fall here in LA I’ll take any bit of fall I can get. Especially in the form of pumpkin. Mix flour, baking powder, baking soda, cinnamon, ginger, and nutmeg together in a medium sized bowl. In a separate bowl, beat sugar and eggs together. Add butter (soften in microwave for 10 seconds if necessary) and beat until fluffy. Peel and dice apples into small pieces. Add to sugar and egg mixture. Stir in the pumpkin. Scoop batter into greased muffin tins and bake for 20-25 minutes or until a toothpick comes out clean. Recipe makes 24 muffins or 1 loaf.